After installing the Super Socializer plugin, you can navigate to the relevant section from Super Socializer configuration menu in the left sidebar in the admin area, depending upon which feature you want to use. To integrate social share icons at your website, navigate to Super Socializer > Social Sharing page in admin. By default social share icons are enabled at your posts and pages. You can go through each option here and customize social sharing from this section. Every option has (?) icon before it that you can click to get more detailed info about that option. To let your website visitors login at your website using their social media accounts, you can integrate Social Login icons at your website from Super Socializer > Social Login page in admin. To let your website visitors comment using their Social Media accounts, you can integrate Social Commenting at your website from Super Socializer > Social Commenting page in admin area. If you want to integrate like, tweet, share buttons offered by social networks as is without any customization, you can integrate these buttons from Super Socializer > Like Buttons page in admin area. You can integrate the Super Socializer – Follow Icons widget from Appearance > Widgets page in admin area. If you are using Super Socializer plugin, you can use following Shortcode in the content of required page/post where you want to display Account Linking interface. Use [TheChamp-Social-Linking] Shortcode in the content of required page/post where you want to display Social Account Linking interface. You can use “style” attribute in the Shortcode to style the rendered interface. You can use “title” attribute to specify title above linking interface. 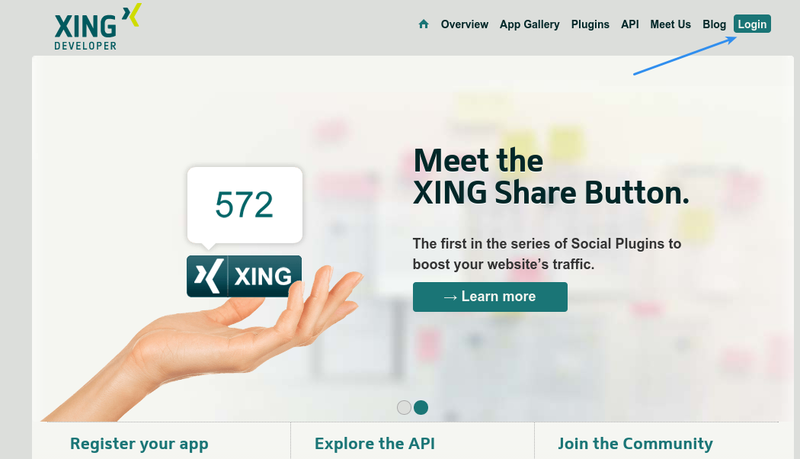 How to enable Xing Login by Creating Xing App? If you are using Super Socializer plugin for Social Login, follow the steps mentioned below to enable Xing Login at your WordPress website. 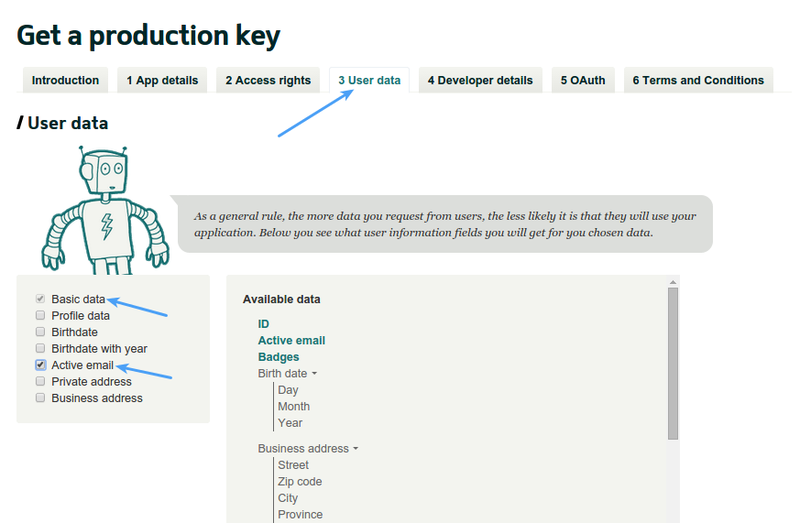 Note: Consumer Key and Secret displayed in the Test key section (see the screenshot above) can be used to test Xing Social Login. 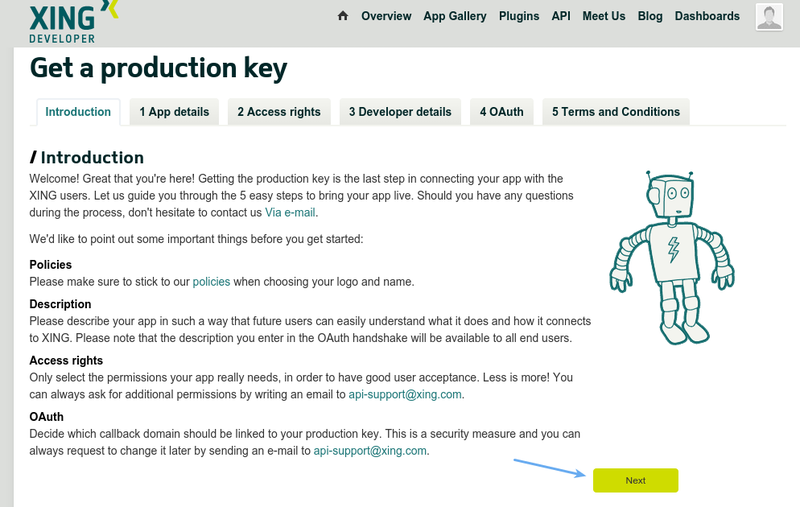 But it is recommended to use Production Key in the plugin (that you will get after following all the steps mentioned in this post) at your live website because it only possesses the access rights that you actually need for your application as opposed to the Test Consumer Key. 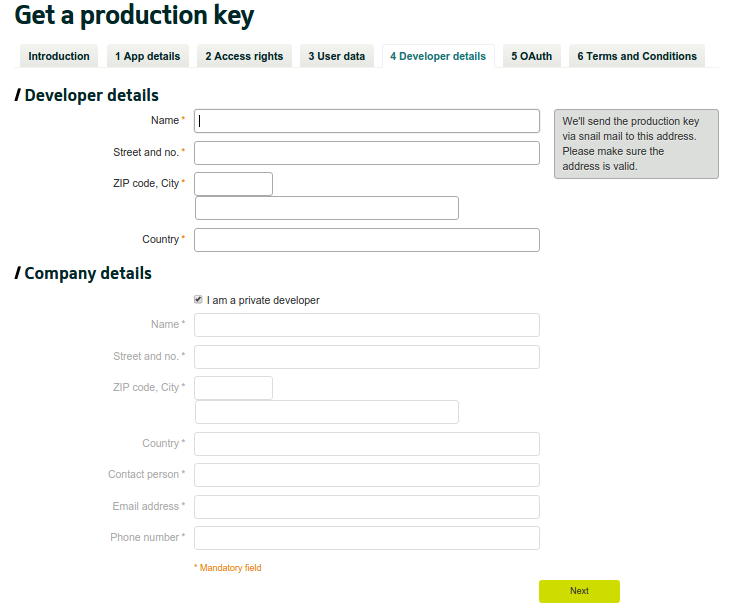 You can also fill other optional fields too. 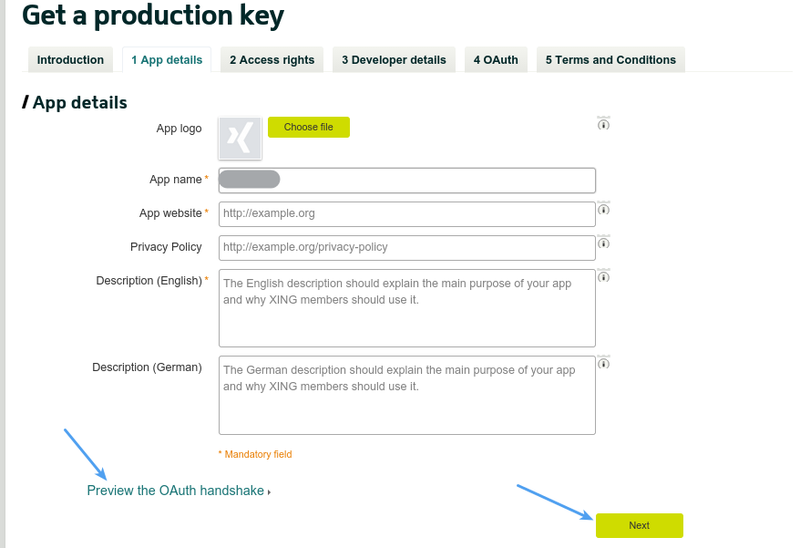 This information will be displayed in the authentication dialog that will appear when users will login using Xing at your website. 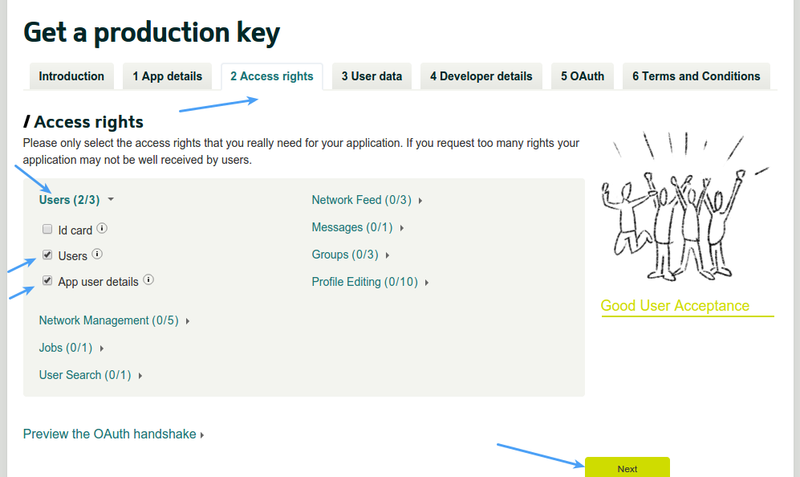 You can see the preview by clicking Preview the OAuth handshake link. Once done click Next button. Open your website homepage (at which you have installed the plugin) in browser, click the address bar so that website url gets highlighted, copy this url and paste it in this option. Please make sure that this url includes http:// or https:// and it has no trailing slash (for example: http://mywebsite.com or http://www.mywebsite.com). Note: If your website url has directory/folder/path after domain (For example- http://www.mywebsite.com/dir), then save url without directory/folder appended to it (For example- http://www.mywebsite.com) in above option. Keep “I don’t want to use a callback domain” option unchecked. Click Next button. Tick mark terms and conditions checkbox in Terms and Conditions section. Optionally, you can specify Additional notes. 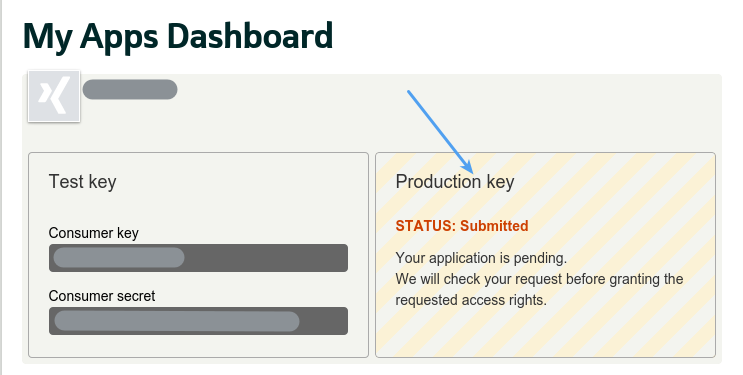 Click Submit button. You will receive a PIN via email (PIN1), a second PIN will be sent to you by snailmail (PIN2). 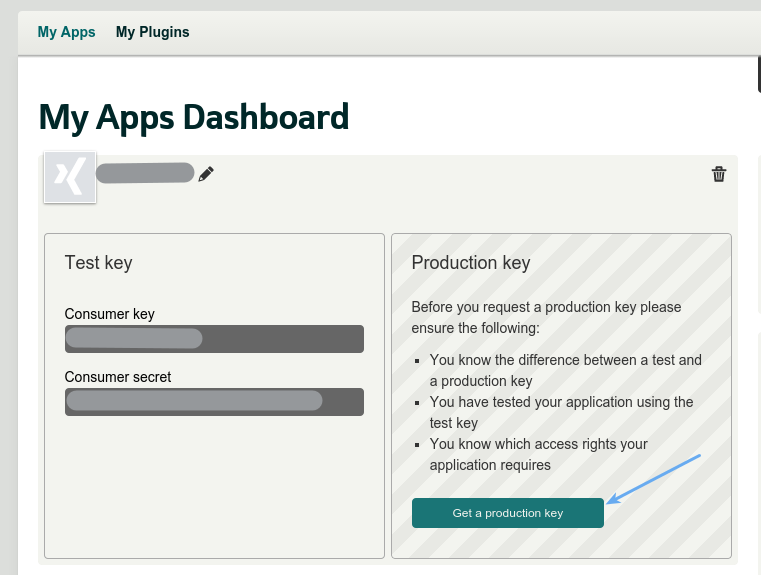 Once you have received PIN1 and PIN2, you can log in to your developer account, choose the appropriate application, and enter both PINs to activate your Production Consumer Key. 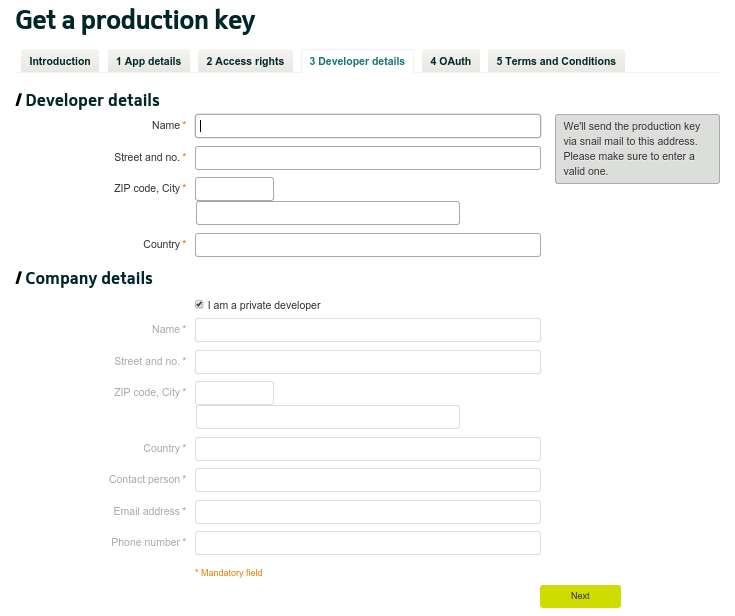 After getting the production Consumer Key and Secret, paste these in Xing Consumer Key and Xing Consumer Secret options in Super Socializer > Social Login section in admin panel of your website.